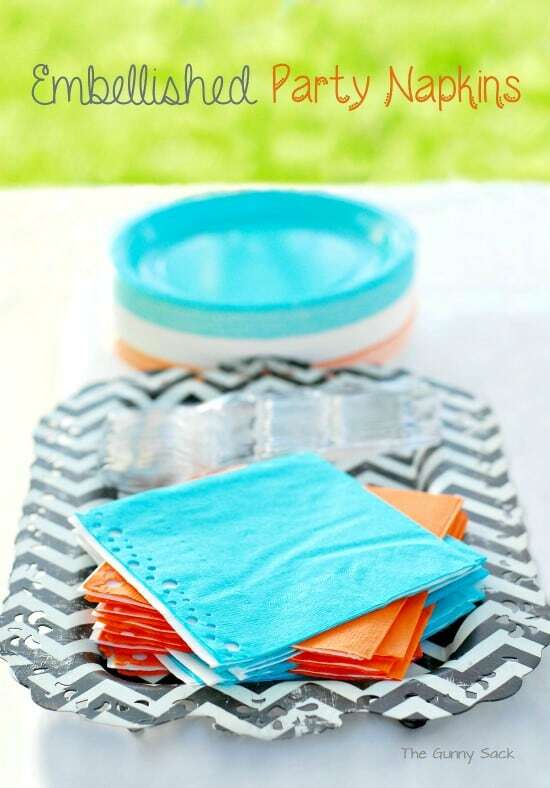 Here’s another party idea: make your own Embellished Napkins! 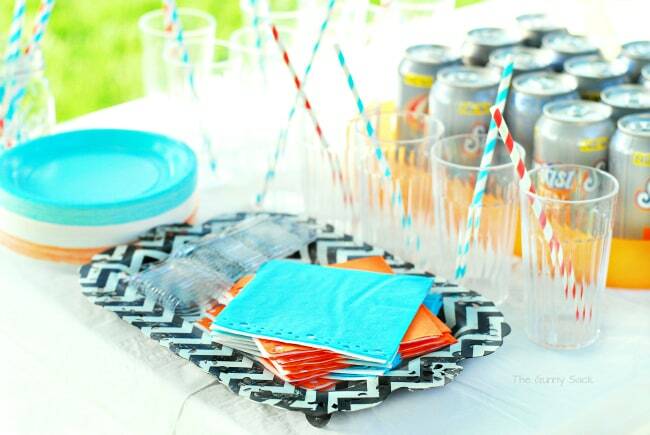 When I hosted a party earlier this summer, I was unable to find napkins that matched my party colors. Well, I guess I should admit that I only checked two stores. In addition to being lazy, I was short on time so I couldn’t order the napkins online. So, I had to do some creative thinking while standing in the aisle at the store. What I came up with was a plan to make embellished napkins. I remembered seeing an idea in a magazine that showed punching a heart in the corner of a napkin. I wanted to make more of a statement so I decided to look for a bigger hole punch. 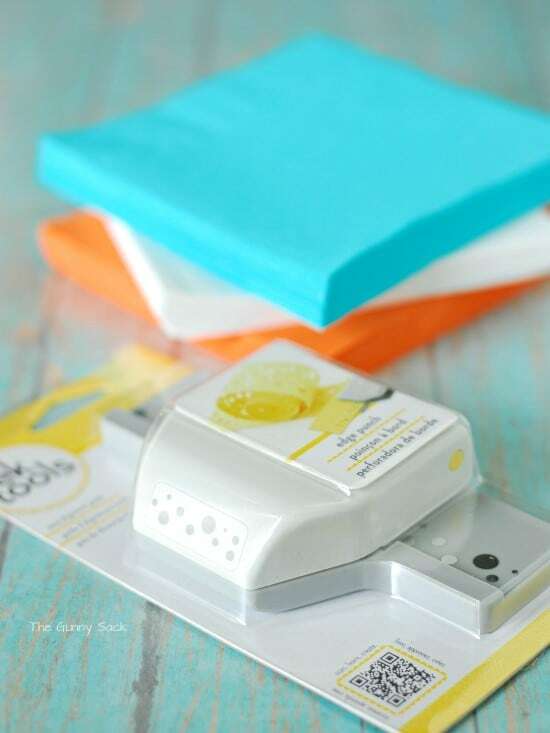 I found this EK Tools edge punch at Target and I bought plain napkins in orange, white and aqua from Walmart. Punching the holes was super easy. 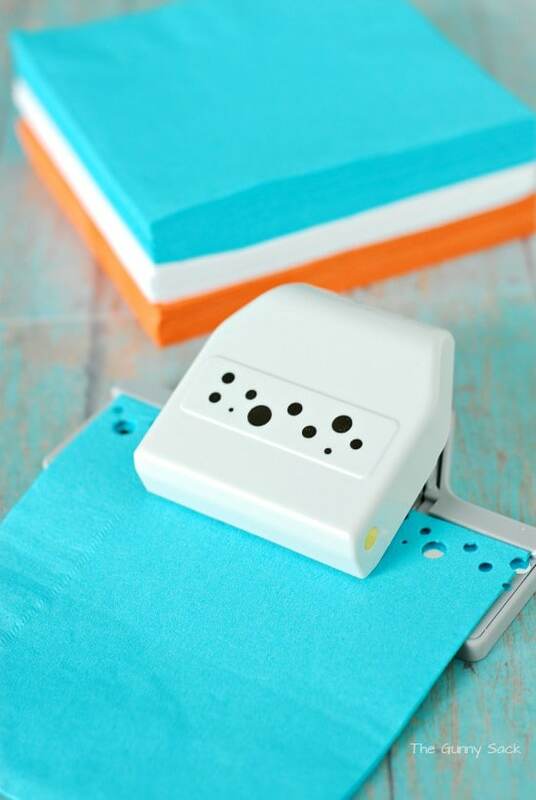 Just put the napkin edge (not the edge with the fold) into the edge punch make sure it is lined up and press down to punch the holes. Then, slide the napkin over and continue until there are holes along the entire edge. This tool is neat because there are silver dot painted on the gray base. You can line up the already punched holes over the silver dots so that you can continue the dot pattern. 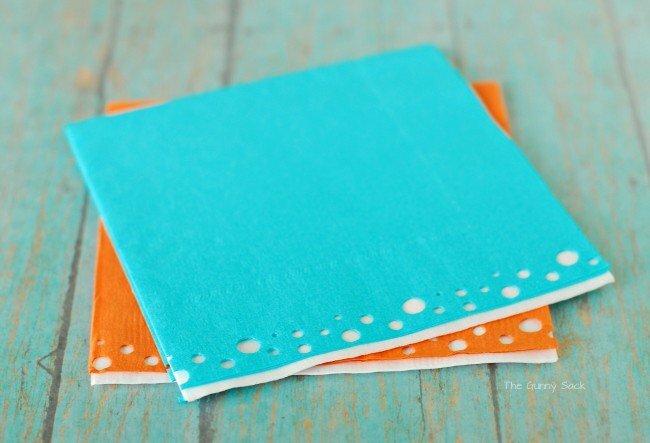 Open the colored napkin with holes punched in it and insert a white napkin (unpunched). The white napkins show through the colored ones and really draw your attention to the holes you just punched. For the party, I alternated the colored napkins and turned them in opposite directions so that the bright colors would show. 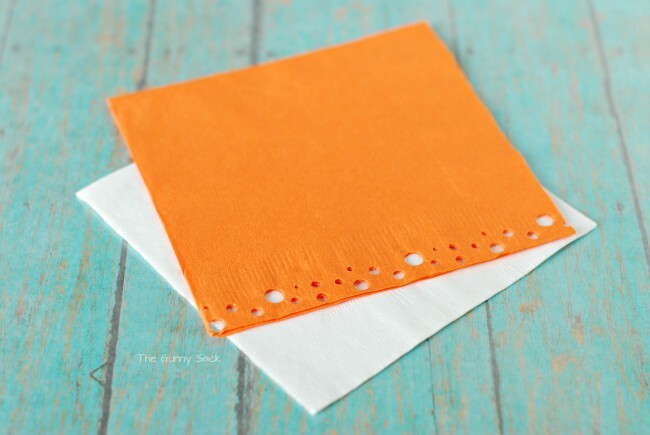 What a simple idea to make a napkin so CUTE! what a fabulous idea! they look great and it probably doesn’t take long to make them either. What an Awesome idea. I have to share this with my family & friends. LOVE this idea – pinned!